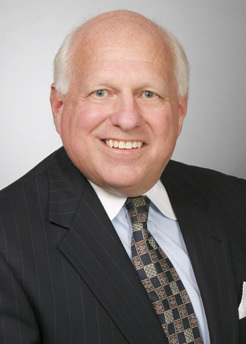 During his long career, Edward Levin has represented employers in the full range of labor and employment law matters, and has advised clients on a wide range of strategic business issues. He has represented clients in labor negotiations, arbitrations and union organizing campaigns, and has litigated cases involving discrimination, wrongful discharge, sexual harassment and related claims in state and federal courts across the U.S. He is frequently consulted in purchases, sales and mergers of businesses, reorganizations, ownership disputes and management changes. He also has represented industry groups in preparing economic analysis and legal arguments before administrative agencies and legislative committees. His argument in Greenhoot, Inc. adopted by the National Labor Relations Board (NLRB) remains seminal law in required consent to representation in multi-employer bargaining units. Edward has handled cases before federal and state trial and appellate courts, the NLRB, the U.S. Department of Labor, the EEOC, and numerous state and local fair employment agencies and labor regulators, as well as a variety of administrative agencies in non-labor regulatory matters. In addition to his busy practice, Edward is frequently tapped to speak before industry groups and trade associations and has testified on legislation before various legislative bodies. He has served on numerous boards and had leadership positions in civic, educational and charitable organizations. He is admitted to practice before the U.S. Supreme Court and the U.S. Courts of Appeals for the First, Second, Fourth, Fifth and D.C. Circuits. NLRB Rulemaking on Employee Rights Notice: Is it a Double Edged Sword for the Unions?